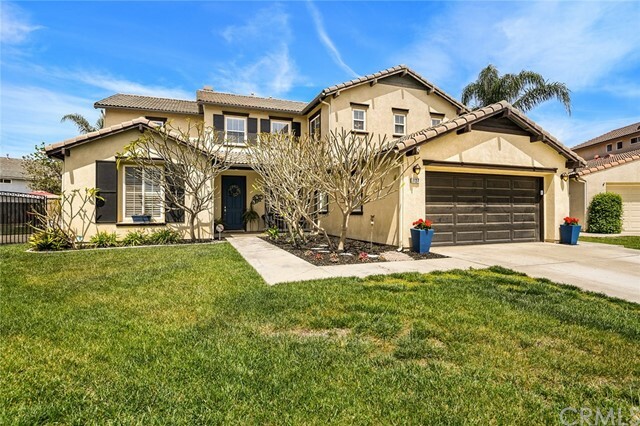 All Eastvale homes currently listed for sale in Eastvale as of 04/18/2019 are shown below. You can change the search criteria at any time by pressing the 'Change Search' button below. "A home that checks ALL the Boxes!! 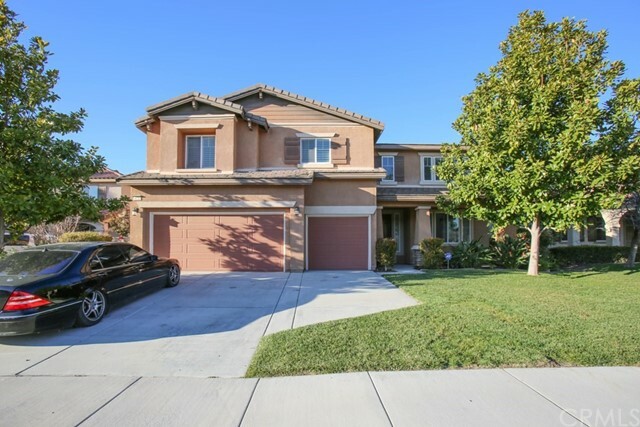 A Lovely Turnkey Spacious Entertainers Delight in the Stoneridge community is rarely available in this well-kept neighborhood. 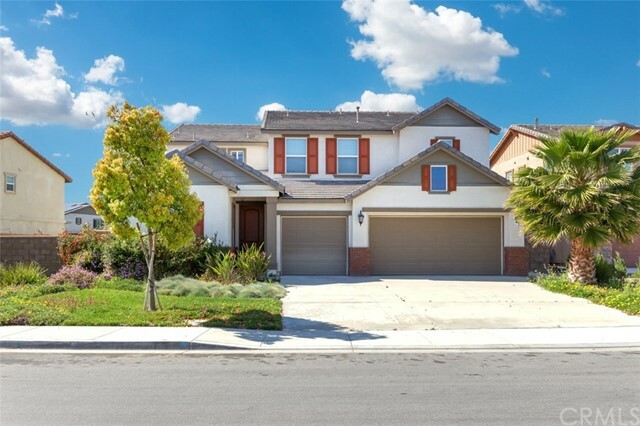 This 2007 4,313 sqft. 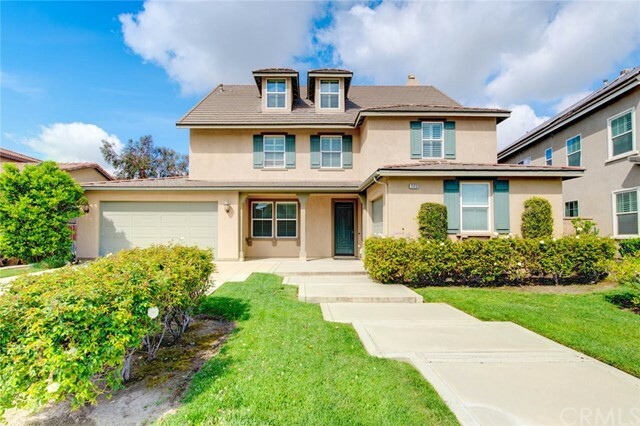 6bed/4ba Pulte home has tile flooring, formal foyer that leads you to a den/office with a dual fireplace shared w/a charming formal living room. The open dramatic & intimate dining room overlooks the courtyard that serves as an extension of the home s living space. Perfect for cocktail hour and stargazing. 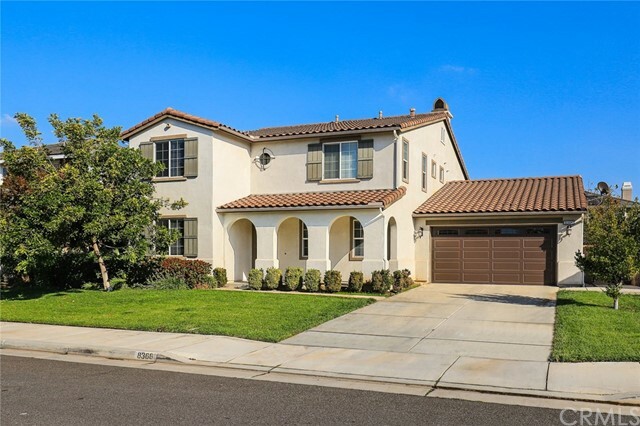 The open gourmet eat-in kitchen has granite countertops, rich maple cabinets, kitchen island, deep storage, pull out drawers, bar seating open to family room & views to the courtyard & backyard. The generous size open family room has an inviting fireplace, media nook & more great views to the backyard. Also you will find 2 large bedrooms, and a bath. Perfect for generational living or guests. Upstairs is an open landing with a double entry to a 468sq. 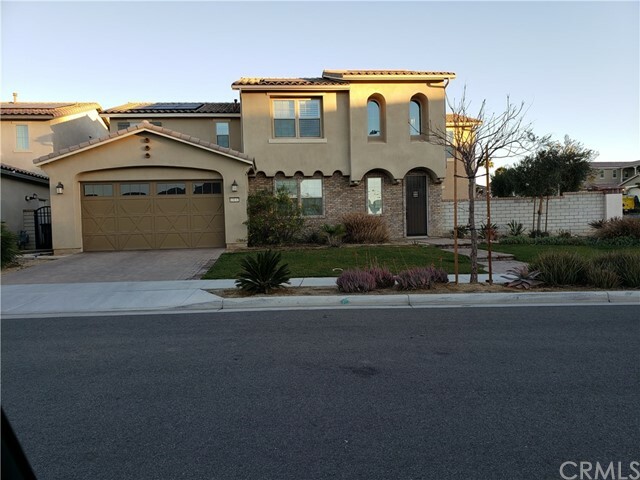 ft luxurious Master Retreat, a master bath with corian top double vanities, walk-in shower & soaking tub a HUGE 16 X 18 master closet. On opposite side of the home is a bonus room, 3 bedrooms, a bath w/shower tub combo, dual vanity, upstairs laundry with a utility sink. 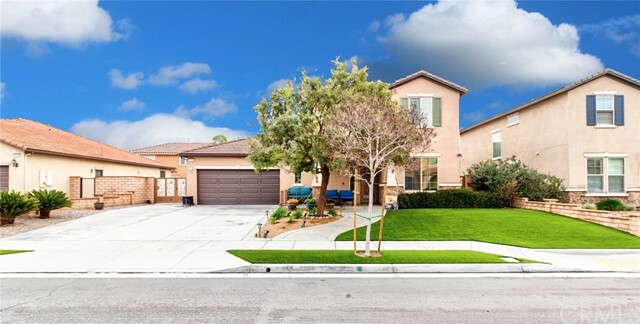 This home sits on a 11,598sq ft lot w potential RV parking, 2 sheds, 3 separate yard areas, walking distance to Eastvale's award winning schools all at the end of a culdesac. 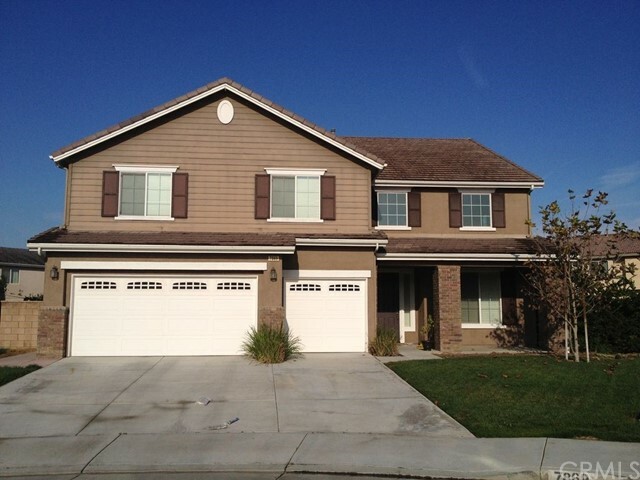 A desirable home- with neutral paint ready for new owners to create the home of their dreams." 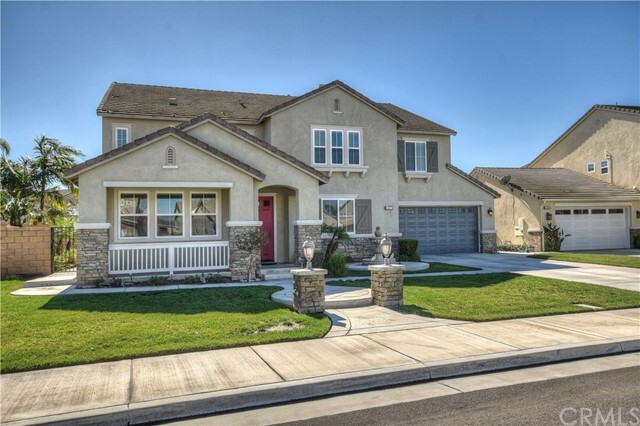 "Absoulutely gorgeous home built in year of 2013 located at Enclave Planned Community. 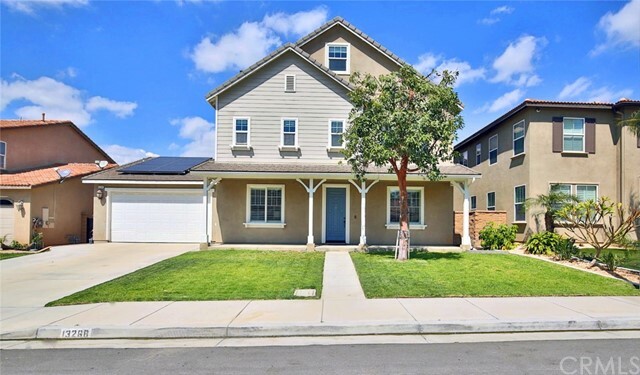 One of the best desirablehis floor plan features 5 bedrooms 4.5 baths, 3 car garage, Junior Bedroom suite comes with wet bar, completed bathroom and big closet downstairs. 2nd floor has a Huge loft area, laundry room and 4 bedrooms. 3,600 living SQFT with built-in central vacuum, tankless water heater, solar panel system to save power energy. 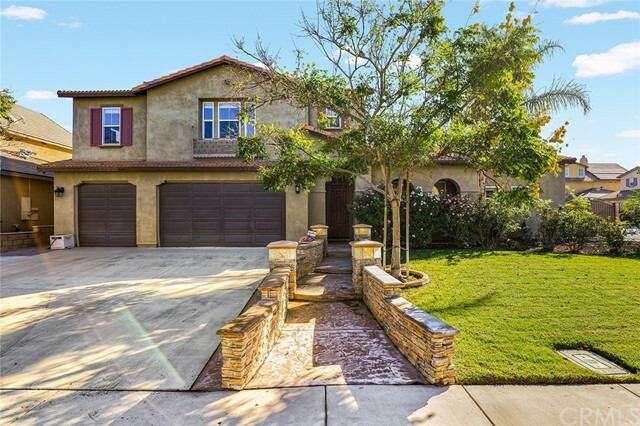 Beautyful tile floor on first floor thoroughout, high ceiling with recessed lighting brightens the whole house, huge family room and big dining area that opens to kitchen. Gourmet-style kitchen with beautiful white cabinets, granite counters and entertainers party center island opens to family room. Master bathroom has individual shower, big tub and dual vanity sink in the master bath. Two community main gates with security cameras to gain access to this beautiful planned community. This quiet gated community just like a resort. 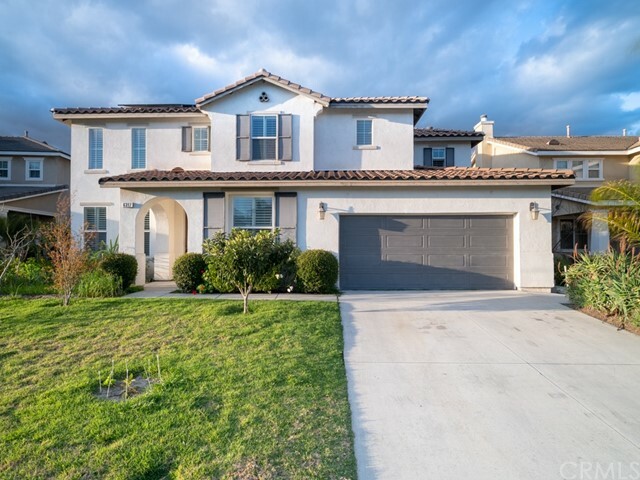 There are couple entertainment parks, 2 children's playground, junior Olympic size swimming pool, children's wading pool, outdoor fireplaces & BBQ Pit area, dog park, Bike & walking trails and basketball courts, club house..etc. Multiple shopping plazas just outside of the community. 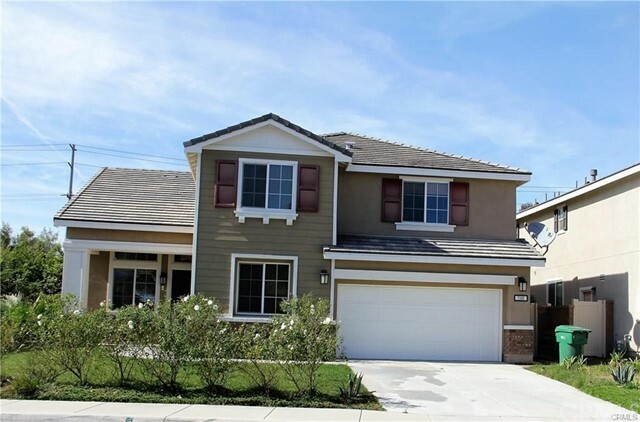 Easy freeway access, convenient to banks, restaurants, markets, CVS, gas stations, shopping and schools. Award winning schools. 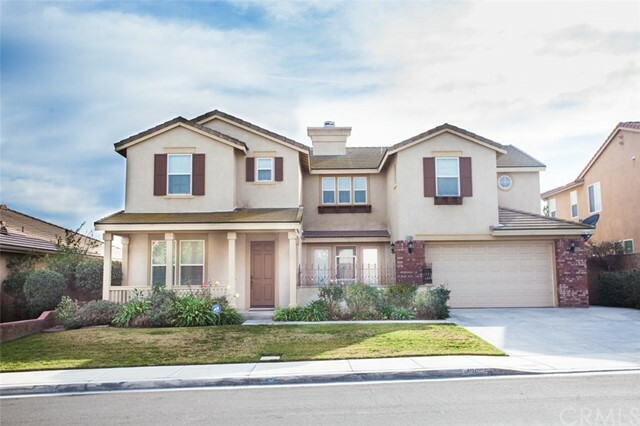 It's time to upgrade to a bigger home, come visit and make it your dream home!" 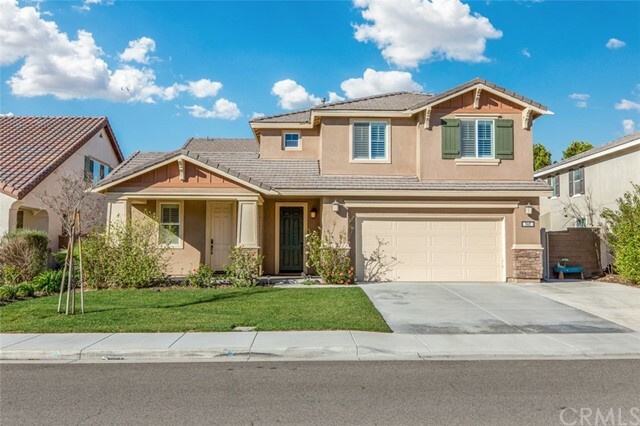 "Located on a quiet Cul-de-Sac in the most desirable area of the city of Eastvale, this south facing, well maintained, freshly painted home features a spacious floor plan, tasteful fixtures and finishes. 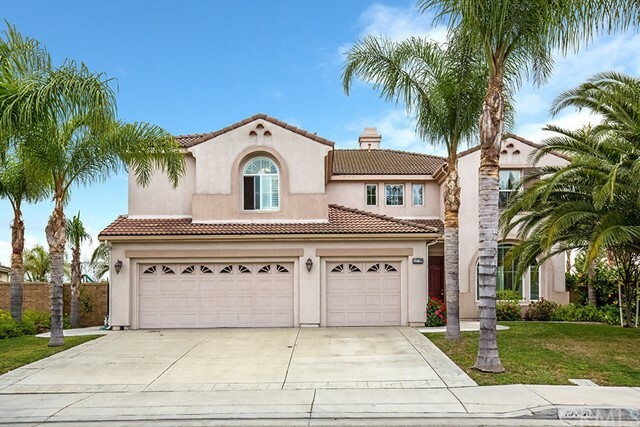 This gorgeous home has 6 Bedrooms and 3 full baths and an additional powder room for guest. 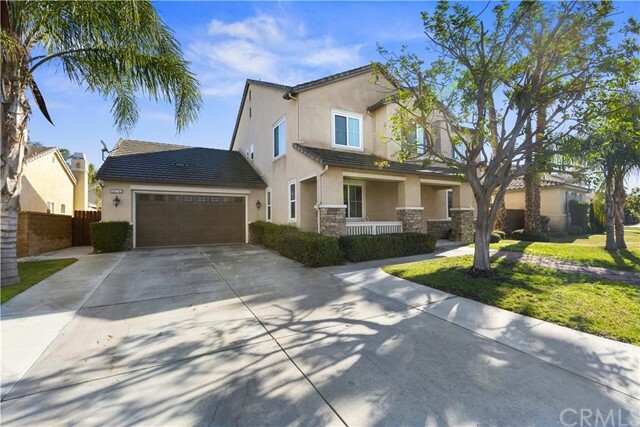 Downstairs features office, powder room, living room, dining room with high ceilings, family room open to spacious and highly upgraded kitchen and 2 bedrooms with full bath. There are fireplaces in office, living room and family room. Upstairs you will find a huge Master Bath Combo offers 2 walk in closets, dual Sinks separated by an oversize Oval Tube. Master bath also offers an additional linen closet and shower. A huge laundry room with sink and lots of cabinets. 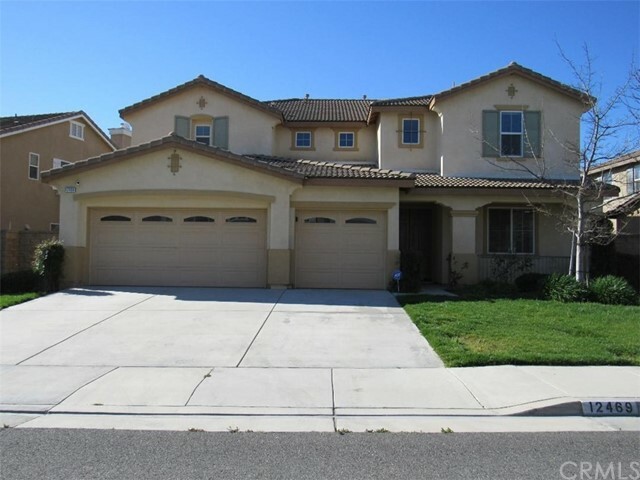 3 spacious bedrooms with full bath of double sink upstairs. 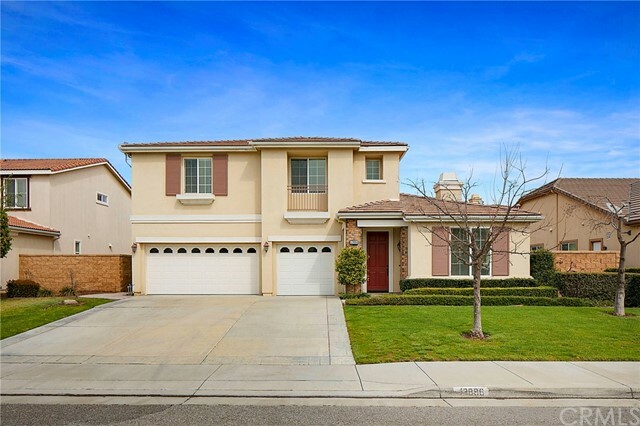 This home has a private side yard for BBQ or entertaining and a low maintenance backyard. You will not be disappointed by Pulte s high ceiling, good quality and the owner s careful maintenance. 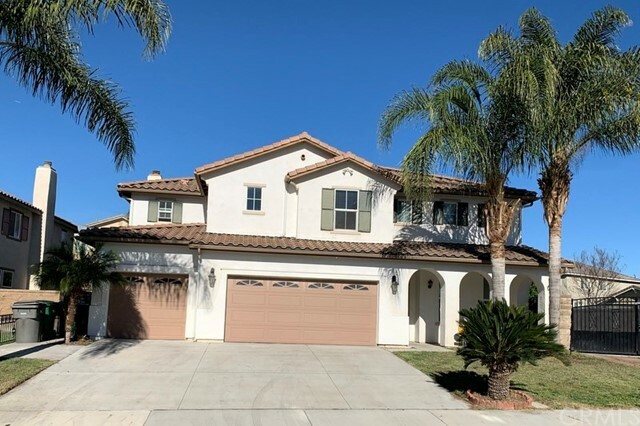 Centrally located near hiking trails alongside the Santa Ana River, shopping, great rating schools, 15, 60, 91, and 71 frwys, this property is definitely a **MUST SEE**." 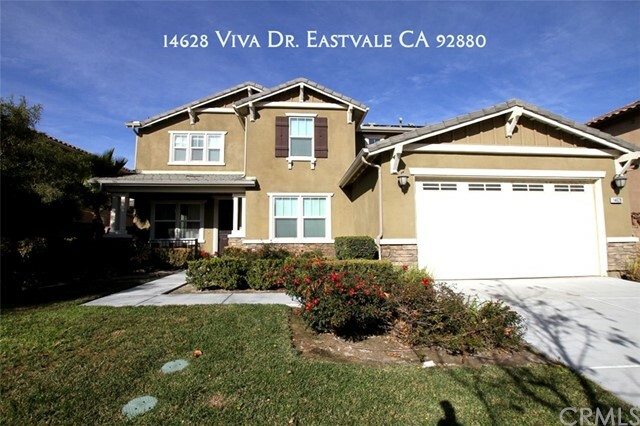 "Spacious six bedroom, 4.5 bathroom home in Eastvale. With new paint and new carpet, it is in move in condition. The downstairs features a large entry with a formal living room and formal dining room and staircase to the second floor. The centerpiece of the home is the large kitchen that flows into the family room with fireplace. Recess lighting, plenty of windows for natural light and large glass door leading to backyard area. The kitchen features a built in table and seating, double oven, gas cooktop, microwave and dishwasher. There is also a separate island area for food preparation and bar stool area for entertaining. Plenty of cabinets and walk in pantry area in kitchen. There are 2 bedrooms, 1 full bathroom and 1 half bathroom downstairs. The interior laundry room is off of the hallway leading to garage with plenty of cabinet space and large sink. The upstairs contains a huge master suite, retreat, 2 walk in closets, large bathroom with separate sinks, tub and shower. The upstairs hallway leads to the other 3 bedrooms. One bedroom has it's own shower and bath connected. The other 2 bedrooms are jack and jill style with a large bathroom in between. 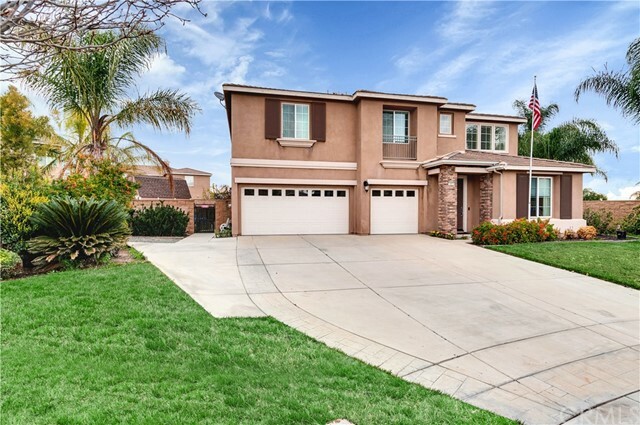 Fully landscaped front and backyard. 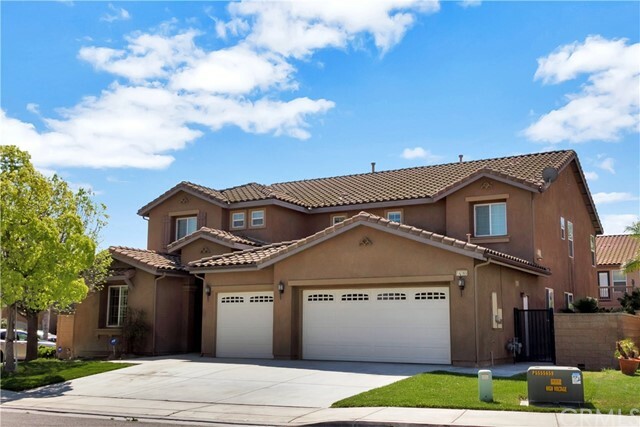 Large 3 car attached garage with plenty of driveway parking. This home sits in a cul-de-sac."